As part of this ongoing series on Teaching Romanticism we will consider the ways in which we lecture on and discuss individual authors, whether during author-specific modules or broader period surveys. I thought it would be particularly useful to hear about which texts educators use and in what context, whether they place certain poems or prose works against those of other writers, or use contemporary or modern theoretical texts, or something else entirely. For this strand of blog posts I invite academics across the world to share their advice and tips on any aspect that interests them about teaching Romanticism. Many thanks to all of those who answered my call through NASSR-L, The BARS Review, and elsewhere (lightly edited samples are reproduced below with permission of the authors). Please do feel free to contact me with advice on future subjects or, indeed, with further thoughts on teaching Shelley, about which much more could be said, evidently. We will be considering a range of writers, canonical and non-canonical alike, in the coming months. Because my department imposes no prerequisites on literature courses, my classes include both advanced students and neophytes, and always a large measure of non-majors. My teaching therefore needs to address both basic and advanced matters, and to do so in ways that enfranchise as many students as possible. 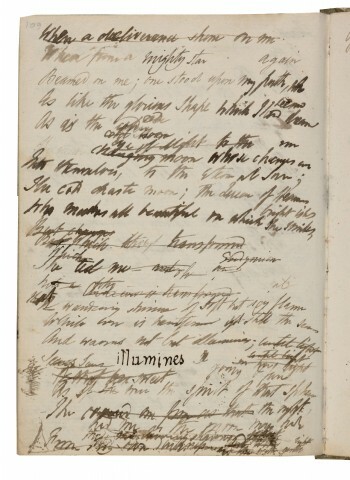 Shelley’s great lyric, “To a Sky-Lark,” permits such multi-tasking, and its physical form makes it more accessible to less advanced students than more densely worded and lineated poems like “Alastor” or “Mont Blanc,” while the poem nevertheless usefully illustrates some of the key features of Shelley’s characteristic themes and poetics. I start with the bird itself and explain immediately that the Eurasian skylark (Alauda arvensis), Shelley’s subject, is a rather plain, smallish bird (c. 16-18 cm long) barely the size of an American robin. The male (in particular) is distinctive, however, for its clear and piercing song, typically delivered while in flight and usually at high altitudes (as high as 100 or more metres, or more than 300 feet – higher than the length of an American football field). 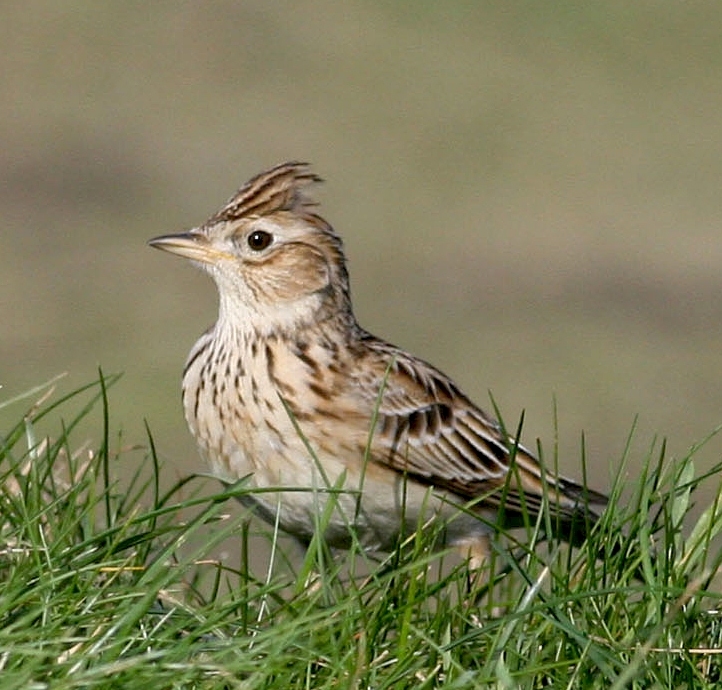 At such heights, the skylark is often entirely invisible to the human eye. While that fact carries obvious symbolic significance for Shelley, noting it also allows me to make the point with my students that many of Romanticism’s greatest and most esoteric poems are clearly grounded in real objects, creatures and phenomena of the natural universe. That fact reinforces the democratizing notion that the often transcendent experiences and insights those poems detail are inherently available to all citizens, regardless of worldly status. 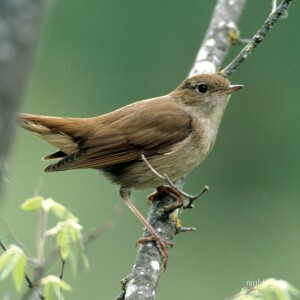 I stress that Shelley’s poem turns on the poet’s insistence that the skylark is both a bird and not a bird (“Bird thou never wert”), and that the heightened diction (e. g. “blithe,” “wert,” “pourest”) signals Shelley’s further insistence that it is in any case more than any mere physical bird. That its vocal “art” is “unpremeditated” likens it to the spontaneity of all utterance by presumably non-sentient creatures while also signaling (especially to students who have read widely) the first of the poem’s many connections to other “master” poems, in this case Milton’s Paradise Lost (IX.24), all of which turn on sources of poetic inspiration. Unlike the skylark, whose spontaneous song is wholly natural and without conscious design, the poet’s own “art,” as Shelley goes on to explain, is artificial, designed, composed, consciously crafted. I try to establish this dichotomy with my students, since it structures the poem that follows. But I also establish immediately the pattern of compound figuration by which this poem – like so many of Shelley’s poems – proceeds: the impetuous piling-up of similies, modifiers, and rhetorical parallelisms. 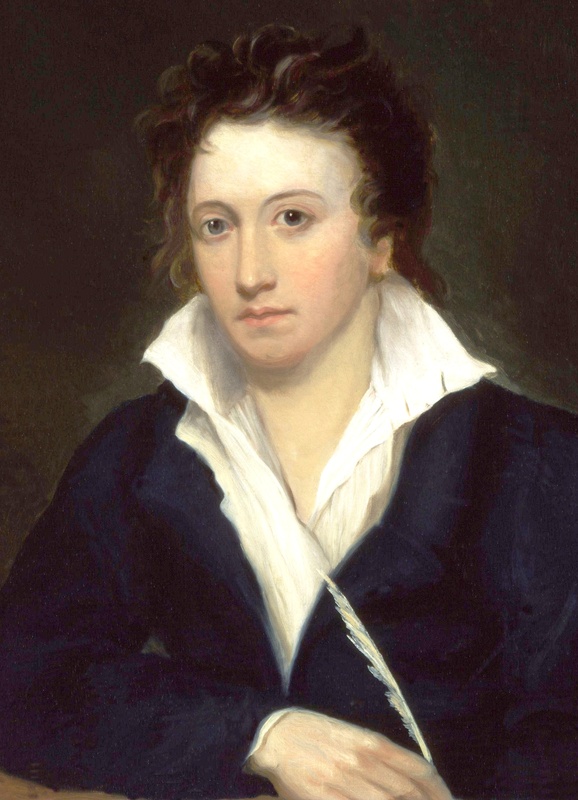 Not any arbitrary or directionless catalogue, I try to demonstrate, Shelley’s figurative language illustrates the elusiveness of explicit, objective description and the inadequacy of language to the purposes of the poet’s message message. Thus the stanzas tumble down the page through simile after simile (“like a cloud of fire” 8; “like an unbodied joy” 15; “like a star of Heaven” 18; etc.) like the skylark’s voice spiraling down from the sky. I want students to see that Shelley means to construct with us a “message” – a “content” – that is neither identical with any of the similes he creates nor the sum of them all, but rather something else – something fundamentally inexpressible but nevertheless perceptible. I emphasize that these first similes are grounded in physical nature, like the skylark, but that like the bird their function is to point us both through and ultimately away from the natural world and on to the spiritual, imaginative space the poet (and his intended audience) inhabits. This is why, I suggest, the similes connect natural phenomena with intellectual, imaginative, or artistic ones. It’s especially significant, then, that immediately after a particularly striking metaphor, “a rain of melody” (35), we get “Like a Poet” (36), which makes explicit the latent connection hinted at in the first three dozen lines. Then, two lines later, Shelley cements this parallel by calling the poet’s productions “hymns unbidden” (37) that awaken “the world” to “sympathy” (which we moderns tend to call “empathy”) with otherwise unrecognized feelings. This second cascade of similes in this and the next four stanzas now traces the poet’s work and its effect, again through natural phenomena associated with the skylark, whose physical and spiritual essence the poem continues to insist is inherently unknowable but prolifically joyous. Having invoked the skylark and then metaphorically linked it with the poet, Shelley explicitly appeals (as he had done to the Spirit of Intellectual Beauty in the “Hymn” and to the West Wind in the “Ode,” two other poems that likewise feature extended catalogues of compounding similes and metaphors) for inspiration and lessoning. Like Wordsworth overhearing the solitary reaper or Keats pondering the Grecian urn, Shelley wonders what the subject of the bird’s song might be, replicating the distinctly human but thoroughly conditioned “need” to objectively identify subjective, non-verbal “content.” The skylark’s song, however, is pure expression, devoid of that sort of objective content, which partly explains why its irresistible attractiveness is also wholly inscrutable. And like Keats’s nightingale, its timeless nature insulates it from the ravages of mortality (80) and its awful mixture of “laughter” and “pain” (88-89). Paradoxically, though, Shelley now says, it is the inescapable fact of our own mortality and mixed essence that enables us to appreciate the skylark’s virtually supernatural joy. The apparent peroration of Shelley’s ending (which is not at all a “conclusion,” it seems to me) offers what strikes me as an echo of the failed (or unfulfilled) aspiration we see at the end of Coleridge’s “Kubla Khan,” where the rhetorical structure of the unfinished conditional statement (“Could I revive within me . . . to such a deep delight. . .”) makes clear that the speaker has in fact not been able to revive within himself the vision of the Abyssinian maid and so has been unable to garner the public approbation to which his visionary ambition aspires. Indeed, Shelley’s poem also echoes the dilemma addressed in another of Coleridge’s poems, “The Æolean Harp” (where the ubiquitous Romantic wind-harp parallels Shelley’s skylark), whose speaker laments that “it should have been impossible | Not to love all things in a world so fill’d” with the cascade of delicious sounds produced by the eolian harp. Asserting that under the skylark’s tutelage “Such harmonious madness | From my lips should flow” (103-04) makes the Coleridgian point that – at least so far – it has not yet happened for the Shelleyan speaker, and that therefore “the world” is not yet listening (105), which is of course the future-facing point at which the “Ode to the West Wind” concludes as well. While the rich intertextuality of Shelley’s poem perhaps matters more to students with a fuller grounding in Romantic-era (and other) British poetry, its physical and linguistic properties can speak eloquently to less well read readers, for whom its breathless cadences and its downward visual spirals on the page may suggest the airborne spirals and protracted singing of the actual, physical skylark that serves alike as Shelley’s prototype and symbol. That the poem “goes on and on,” as it does, often seems more meaningful to my students when I point out that so, too, does the airborne song of the actual European skylark, which is known to last as long as fifteen minutes or more. 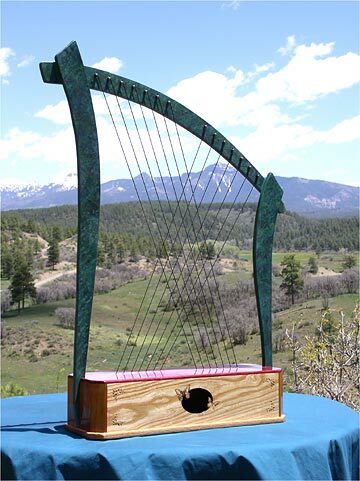 Like Romantic poetry’s more familiar eolian harp, Shelley’s skylark – and the poem it informs – furnishes an appropriate symbol for poetic (artistic, imaginative, and intellectual) inspiration, an unseen voice that is nevertheless perceived and whose apparently spontaneous artlessness provides both the inspiration and the model for imaginative production and for the renovation of spirit and consciousness that lies at the heart of so much of Romantic-era poetry. As a research student, whose thesis focuses on both Percy Bysshe and Mary Shelley, I have contemplated my aspiration to present these two inextricably linked authors in a way that is inspiring, equal, and above all relevant to (both of) their turbulent critical histories. It is appropriate here (and especially as I believe as both Shelleys should be read very closely together) to say that Frankenstein by Mary Shelley can be interpreted in such a vast variety of ways that the text occasionally eclipses its author’s voice: the notorious night of ghost story telling in Geneva in 1816 dominates perceptions of Mary Shelley’s creativity as a writer. The relevant problem here is how then to introduce students to P. B. Shelley, whose reputation precedes him, both as a ‘Romantic’ poet, and as an individual present during that night in Geneva. 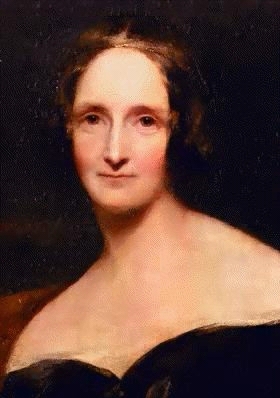 The biographies of P. B. Shelley, and Mary Shelley, often overshadow the reason why they are established literary figures in the first place. the purely imaginative, and those which sprung from the emotions of his heart. […] The second class is, of course, the more popular, as appealing at once to emotions common to us all. I remember hearing this poem for the first time in a lecture by Prof. Kelvin Everest; he explained its stunning intricacy as both relatable and idealistic. The poem on first reading has that Romantic simplicity from which the complexity must be extracted. It is therefore at once accessible and challenging. Shelley also has many poems, which are commonly misread as simply personal but in actuality are far more complicated than that. The intense erotica of Epipsychidion, for example, is a unique anarchic poem of its times: ‘We shall become the same, we shall be one / Spirit within two frames’ (573-4). Anarchy leads us last, but not least, to Shelley’s political poetry, which reverberates through the public consciousness to this day. The Mask of Anarchy has become a powerful statement for the proletariat and the city of Manchester. 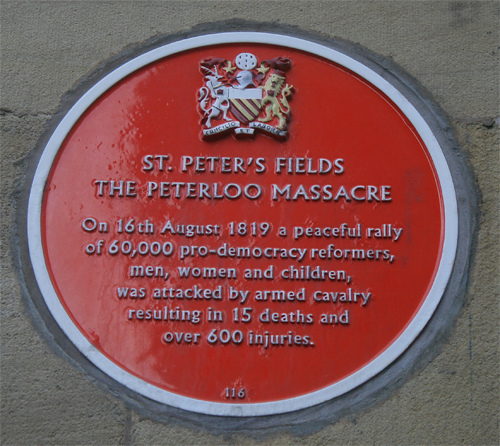 Maxine Peake’s theatrical performance of the poem in 2013 exemplifies this. Examining these variants of P. B. Shelley’s poetry can deliver to a student the intrigue and unique power unrivalled in its particular diversity. Teaching the poetry of Percy Bysshe Shelley along the conceptual lines of mutability, a prevailing theme in his body-of-works, is a useful entryway into Shelley’s radicalism of thought. His lifelong commitment to social change, expressed in a variety of forms, also helps to make some of his longer and more difficult works, such as Prometheus Unbound and The Triumph of Life, more comprehensible to students encountering his work for the very first time. Whether in a British literature survey course or in an upper-division seminar concentrating solely on the second-generation English Romantics, an early lyric like “Mutability” provides students with a short poem organized around a main idea, which the speaker arrives upon in the poem’s final line only after he provides three pieces of evidence – nature, music, and human affect – that prove his faith in the permanence of impermanence. “Mutability” is that rare poem – not unlike W.H. Auden’s “Musée de Beaux Arts” – that contains a thesis statement and proceeds logically from one proof to the next. Showing students how the asyndetic claims in the third stanza speed up the poem’s syntax and reinforce the use of “speed” in its opening stanza also foregrounds the way in which form and function overlap in Shelley’s finest poetry. Seeing how poetic form serves the author’s purpose also prepares them for reading a more intricate poem like “Ode to the West Wind” where, there too, mutability reigns supreme, spanning global regions and time-periods. Students sometimes have a tendency to reduce “Mutability” to a banal platitude like “the only constant is change,” just as they will, reasonably but perhaps too reductively, read the famously open-ended question that ends “Mont Blanc” to the pseudo-Zen conundrum, “If a tree falls in the forest and no one is around to hear it, does it make a sound?” In discussion, it is often useful to explore why these supposed truisms are true and not true when it comes to Shelley’s verse, and, if Mary Shelley’s Frankenstein has also been included in the syllabus, why Victor Frankenstein quotes the second half of “Mutability” while marveling at Mont Blanc’s sublime landscape. Feminist criticism of Frankenstein teaches us that Victor has a vexed, if not hostile, relationship with (mother) nature, so it might be worth exploring mutability with gender in mind. Since a good teacher does not have all the answers, but instead, all the right questions, one might ask: What does Victor recognize and misrecognize when he looks out at nature? In what way is nature, for Mary Shelley’s anti-hero, another kind of mirror? It is likely that students will already be familiar with William Wordsworth’s poetry, and if so, his own “Mutability” (from the Ecclesiastical Sonnets) gives the class an opportunity to compare and contrast two Romantic representations of impermanence. Students are usually titillated by the ad hominem rhetoric of Shelley’s attack-poem “To Wordsworth,” and seeing Wordsworth as the monolithic father figure and Shelley as the young and rebellious receiver of his ideas helps them to think of the pair as not just poets but as people. Teaching, as I do in this same unit, the better-known sonnet “Ozymandias” also allows students to think about Wordsworth as another kind of “King of Kings” who, according to the laws of Shelleyan mutability, is fated to fall. To complement the political critique inherent in “Ozymandias,” a quick Google-search of political cartoons that borrow lines and images from Shelley’s sonnet enable students to see how the political downfalls of our lifetime – cartoons feature American president Bill Clinton and Egyptian president Hosni Mubarak – continue to resonate in Shelleyan terms. Lastly, in a unit that ultimately explores both the philosophical and ideological dimensions of Shelley’s belief-system, “Ode to the West Wind” bears out the concept of change on the level of form with its interlocking tercets in terza rima in addition to five interlocking sonnets that students should recognize as spanning, or speeding across land, sky, sea, poetry, and, finally, prayer. Again, the interconnectedness of the poetic form is intended to mirror the dynamic mutability that the poet locates in the natural world around him. Any teacher wishing to reorient Shelley’s poem in a controversial and contemporary context might focus on the role of changing weather patterns in the ode and the specter of climate change in the modern era. Thinking about the negative forms of change will also prepare the class for reading the darker side of Shelley’s canon, and works like The Cenci and Julian and Maddalo where murder and madness seem like one’s only options. By the unit’s end, students should be able to synthesize the various moments in Romantic poetry when, like Wordsworth atop Mount Snowdon or Shelley marveling at Mont Blanc, male poetic genius touts its own power to speak to and for nature. I n summary, our contributors have demonstrated an impressive array of approaches to teaching Percy Bysshe Shelley’s works in both verse and prose. Each of them seeks to introduce students from a variety of backgrounds to the immanent power of the poetry in particular, either on its own terms on in tandem with the political writings. They also encourage their students to place Shelley’s work alongside that of other British writers, most notably Mary Shelley or John Keats. Anna Mercer attests to the importance of discovering one’s own relationship with a writer within our twinned roles as students and teachers. Colin Carman, meanwhile, challenges to confront the truisms associated with Shelley. A poetic skylark, as Stephen Behrendt asserts, is and is not a skylark.